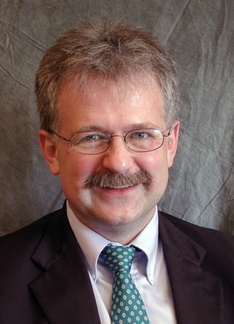 Mark R. Schleiss, MD is a Professor of Pediatrics in the University of Minnesota Medical School. Dr. Schleiss received his MD degree from the Oregon Health and Sciences University, Portland, Oregon. He completed his residency at Doernbecher Children’s Hospital, Oregon Health and Sciences University, Portland, Oregon and his Pediatric Infectious Diseases fellowship at Children’s Hospital Medical Center, University of Washington, Seattle, Washington. He also completed a fellowship in Molecular Medicine studying cytomegalovirus molecular genetics at the Fred Hutchinson Cancer Research Center, Seattle, Washington. Dr. Schleiss is also a part of the program "If You Don't Pass, Screen," which aims to increase knowledge and awareness about the problem of congenital cytomegalovirus (CMV) infection in Minnesota. Read more about the program here: https://www.cmvscreening.org/about-program. Congenital infection with CMV is a major public health problem in the United States today, and is responsible for substantial morbidity in newborns. Dr. Schleiss is engaged in the study of CMV vaccines, immunopathogenesis, and placental infection. Using a variety of vaccine strategies, including purified protein subunit and DNA vaccines, his lab is evaluating the extent of protection of the maternal-placental-fetal unit against CMV infection and disease, using animal models of infection. These studies integrate molecular virology with immunological endpoints to understand in greater detail the aspects of the maternal immune response that are critical in protection of the fetus. Translational research is examining the feasibility of establishing newborn screening programs for congenital CMV infection.